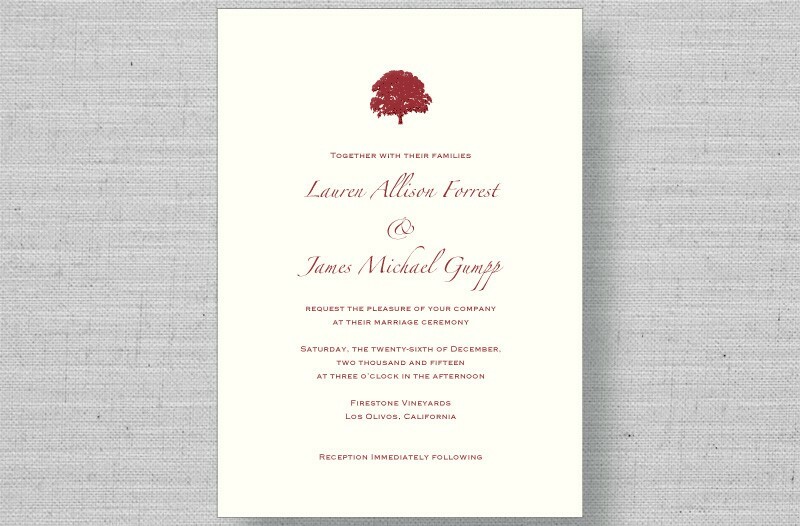 The Lively Oak Tree thermography wedding invitations from Marry Moment evoke a rustic yet elegant wedding theme featuring a stately oak tree. Currently in merlot and olive green, color can be customized to match your wedding theme. Also available in digital print, please contact us directly!